I thought this would be a nice addition to my 2-year-old daughter’s room. The throw reminds me quite a bit of my Han in Carbonite throw I got a while back. In fact, they both have the same exact colors of fringe (multicolored on two sides and black & white on the others), so they may actually have been made by the same company, or at least using the same process. Katie Cook’s art is always a treat. I also have a sketch card of Jabba and his son Rotta by Katie. 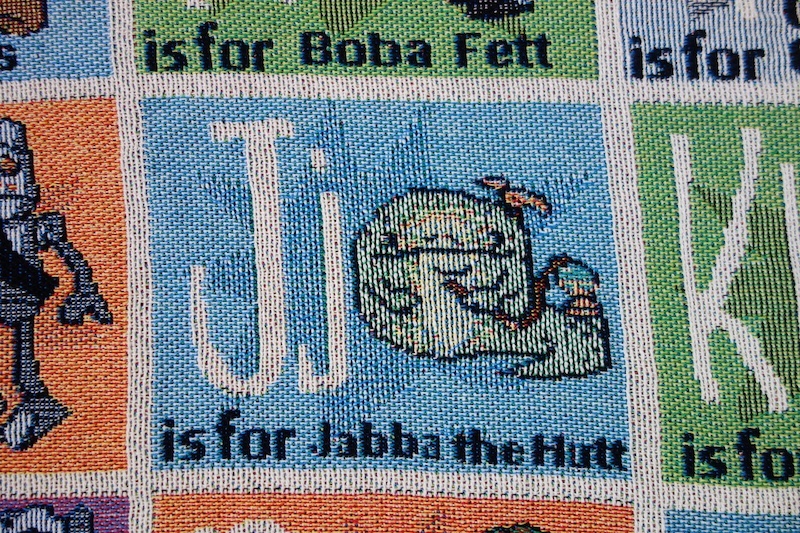 Here, Jabba looks a little like he’s got a ribbon on his head, but I’m pretty sure that’s just Salacious Crumb peeking out from behind him. Very cool. I got the poster sized print for my friend’s son last year. 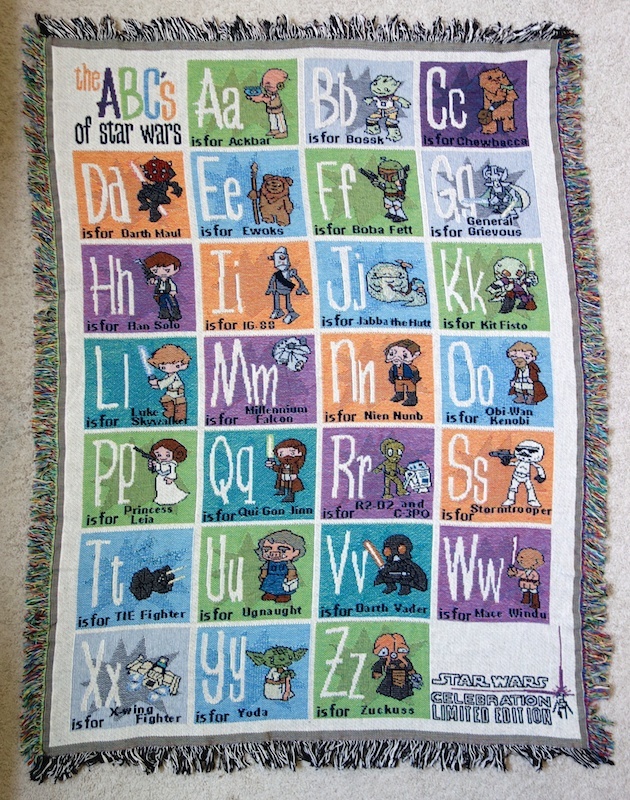 I don’t normally go in for the “cute” Star Wars stuff, but I really enjoy Katie Cook’s work.